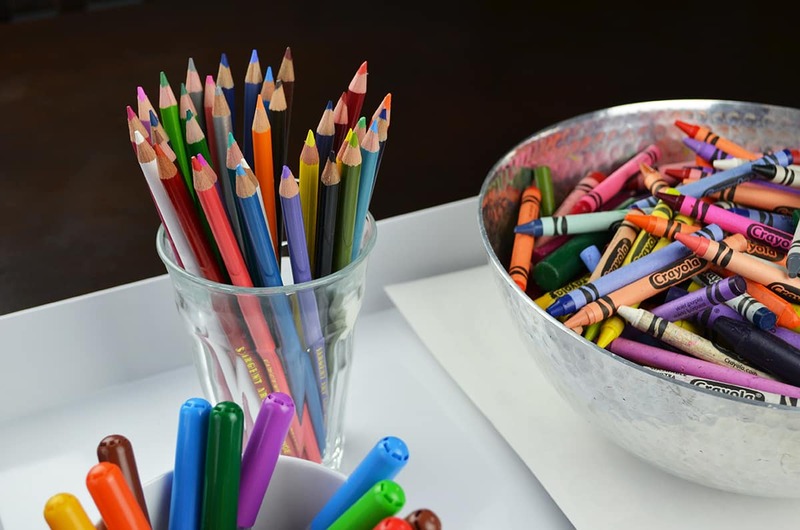 You know that if you were sitting in front of this tray with all those pretty colored pencils and clean white paper you would be tempted to play. Well, that’s why I always have these items out and ready for use at all times. I want my kids to be inspired to create and color any time they desire. This gorgeous center piece is sitting on my kitchen table and the kids use it daily. I love the functionality and clean look of this tray, don’t you? Right below that big crayola (mostly) crayons bowl you have white sheets of paper. Tucked underneath the white paper is a couple of coloring books. Its always good to have a backup plan, because it’s all about options for the kiddos. To mix it up with out adding color to the tray use metal, white and glass objects for filling. You want the color from all the crayons, markers and pencils to be the true star that shines. 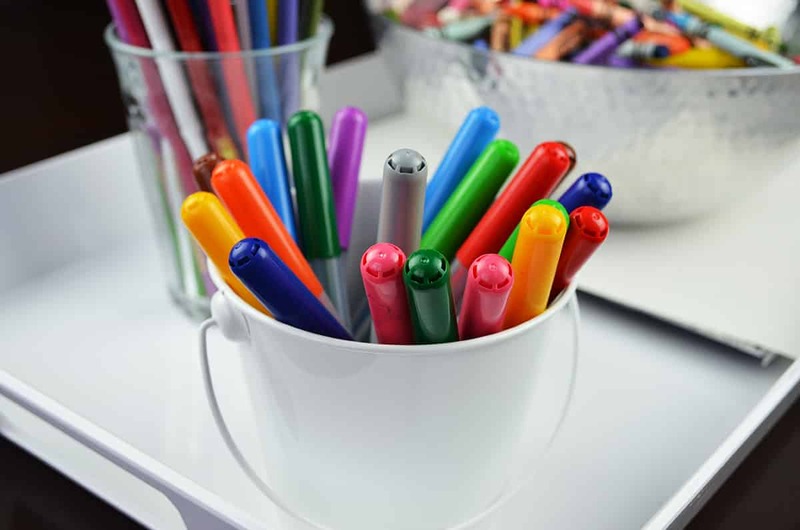 Our favorite markers currently are the Ikea kids markers that are pictured here. 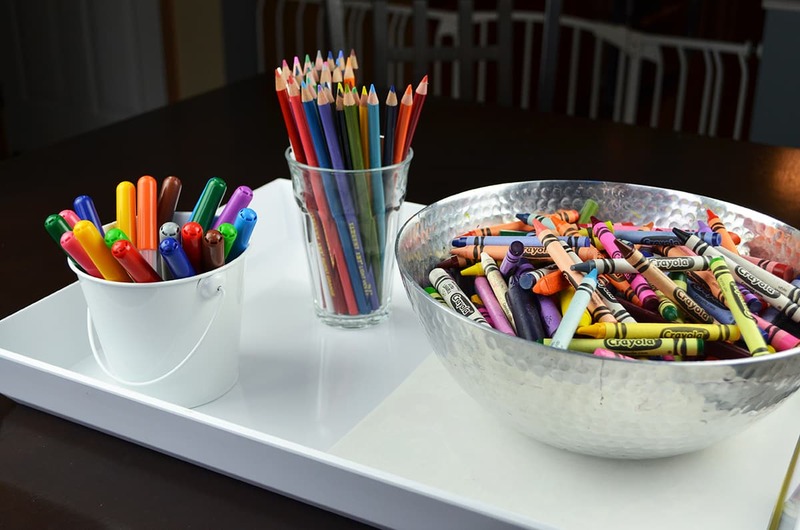 I hope this post has inspired you to create your very own Coloring Tray Centerpiece!